Philosophy can be a little dry in concept. The word itself conjures up images of thinking about thought, why we exist, and other metaphysical ideas that seem a little divorced from the everyday world. 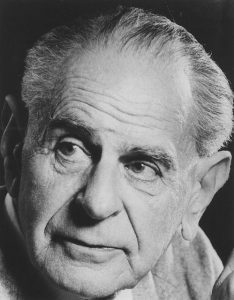 One true philosopher who bucked the trend was the genius Austrian philosopher of science, Karl Popper. How does progressive scientific thought actually happen? What type of society do we need to allow for scientific progress to be made? What can we say we actually know about the world? Popper’s work led to his idea of falsifiability as the main criterion of a scientific theory. Simply put, an idea or theory doesn’t enter the realm of science until we can state it in such a way that a test could prove it wrong. 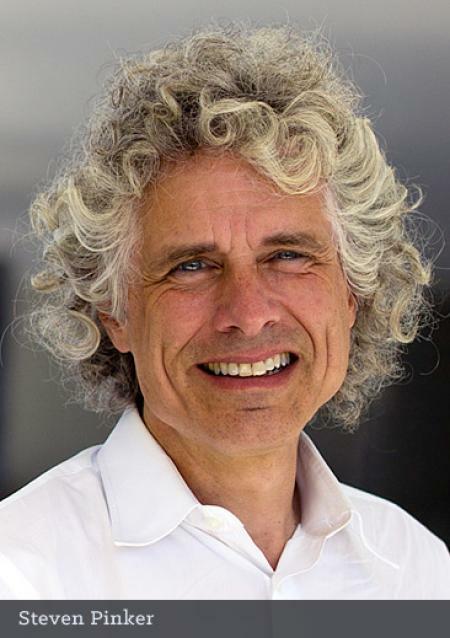 This important identifier allowed him to distinguish between science and pseudoscience. An interesting piece of Popper’s work was an attack on what he called historicism — the idea that history has fixed laws or trends that inevitably lead to certain outcomes. Included would be the Marxist interpretation of human history as a push and pull between classes, the Platonic ideals of the systemic “rise and fall” of cities and societies in a fundamentally predictable way, John Stuart Mill’s laws of succession, and even the theory that humanity inevitably progresses towards a “better” and happier outcome, however defined. Modern ideas in this category might well include Thomas Piketty’s theory of how capitalism leads to an accumulation of dangerous inequality, the “inevitability” of America’s fall from grace in the fashion of the Roman empire, or even Russell Brand’s popular diatribe on utopian upheaval from a few years back. Popper considered this kind of thinking pseudoscience, or worse — a dangerous ideology that tempts wannabe state planners and utopians to control society. (Perhaps through violent revolution, for example.) He did not consider such historicist doctrines falsifiable. There is no way, for example, to test whether Marxist theory is actually true or not, even in a thought experiment. We must simply take it on faith, based on a certain interpretation of history, that the bourgeoisie and the proletariat are at odds, and that the latter is destined to create uprisings. (Destined being the operative word — it implies inevitability.) If we’re to assert that the there is a Law of Increasing Technological Complexity in human society, which many are tempted to do these days, is that actually a testable hypothesis? Too frequently, these Laws become immune to falsifying evidence — any new evidence is interpreted through the lens of the theory. Instead of calling them interpretations, we call them Laws, or some similarly connotative word. More deeply, Popper realized the important point that history is a unique process — it only gets run once. We can’t derive Laws of History that predict the future the way we can with, say, a law of physics that carries predictive capability under stated conditions. (i.e. If I drop a ceramic coffee cup more than 2 feet, it will shatter.) We can only merely deduce some tendencies of human nature, laws of the physical world, and so on, and generate some reasonable expectation that if X happens, Y is somewhat likely to follow. But viewing the process of human or organic history as possessing the regularity of a solar system is folly. He discusses this in his book The Poverty of Historicism. The evolution of life on earth, or of a human society, is a unique historical process. Such a process, we may assume, proceeds in accordance with all kinds of causal laws, for example, the laws of mechanics, of chemistry, of heredity and segregation, of natural selection, etc. Its description, however, is not a law, but only a single historical statement. Universal laws make assertions concerning some unvarying order[…] and although there is no reason why the observation of one single instance should not incite us to formulate a universal law, nor why, if we are lucky, we should not even hit upon the truth, it is clear that any law, formulated in this or in any other way, must be tested by new instances before it can be taken seriously by science. 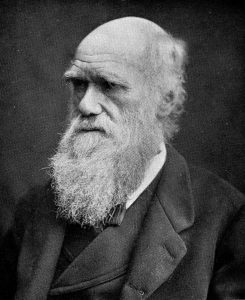 But we cannot hope to test a universal hypothesis nor to find a natural law acceptable to science if we are ever confined to the observation of one unique process. Nor can the observation of one unique process help us to foresee its future development. The most careful observation of one developing caterpillar will to help us to predict its transformation into a butterfly. Popper realized that once we deduce a theory of the Laws of Human Development, carried into the ever-after, we are led into a gigantic confirmation bias problem. For example, we can certainly find confirmations for the idea that humans have progressed, in a specifically defined way, towards increasing technological complexity. But is that a Law of history, in the inviolable sense? For that, we really can’t say. I suggest that to give a causal explanation of a certain specific event means deducing a statement describing this event from two kinds of premises: from some universal laws, and from some singular or specific statements which we may call specific initial conditions. For example, we can say that we have given a causal explanation of the breaking of a certain thread if we find this thread could carry a weight of only one pound, and that a weight of two pounds was put on it. If we analyze this causal explanation, then we find that two different constituents are involved. (1) Some hypotheses of the character of universal laws of nature; in this case, perhaps: ‘For every thread of a given structure s (determined by material, thickness, etc.) there is a characteristic weight w such that the thread will break if any weight exceeding w is suspended on it’ and ‘For every thread of the structure s, the characteristic weight w equals one pound.’ (2) Some specific statements—the initial conditions—pertaining to the particular event in question; in this case we may have two such statements: ’This is a thread of structure s, and ‘The weight put on this thread was a weight of two pounds’. Here we hit on the problem of trying to assert any fundamental laws by which human history must inevitably progress. 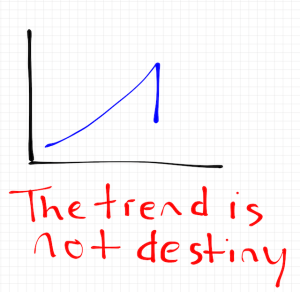 Trend is not destiny. Even if we can derive and understand certain laws of human biological nature, the trends of history itself dependent on conditions, and conditions change. Explained trends do exist, but their persistence depends on the persistence of certain specific initial conditions (which in turn may sometimes be trends). Mill and his fellow historicists overlook the dependence of trends on initial conditions. They operate with trends as if they were unconditional, like laws. Their confusion of laws with trends make them believe in trends which are unconditional (and therefore general); or, as we may say, in ‘absolute trends’; for example a general historical tendency towards progress—‘a tendency towards a better and happier state’. And if they at all consider a ‘reduction’ of their tendencies to laws, they believe that these tendencies can be immediately derived from universal laws alone, such as the laws of psychology (or dialectical materialism, etc.). This, we may say, is the central mistake of historicism. Its “laws of development” turn out to be absolute trends; trends which, like laws, do not depend on initial conditions, and which carry us irresistibly in a certain direction into the future. They are the basis of unconditional prophecies, as opposed to conditional scientific predictions. The point is that these (initial) conditions are so easily overlooked. There is, for example, a trend towards an ‘accumulation of means of production’ (as Marx puts it). But we should hardly expect it to persist in a population which is rapidly decreasing; and such a decrease may in turn depend on extra-economic conditions, for example, on chance interventions, or conceivably on the direct physiological (perhaps bio-chemical) impact of an industrial environment. There are, indeed, countless possible conditions; and in order to be able to examine these possibilities in our search for the true conditions of the trend, we have all the time to try to imagine conditions under which the trend in question would disappear. But this is just what the historicist cannot do. He firmly believes in his favorite trend, and conditions under which it would disappear to him are unthinkable. The poverty of historicism, we might say, is a poverty of imagination. The historicist continuously upbraids those who cannot imagine a change in their little worlds; yet it seems that the historicist is himself deficient in imagination, for he cannot imagine a change in the conditions of change. Still interested? Check out our previous post on Popper’s theory of falsification, or check out The Poverty of Historicism to explore his idea more deeply. A warning: It’s not a beach read. I had to read it twice to get the basic idea. But, once grasped, it’s well worth the time. There will always be those who try to challenge growing scientific consensus — indeed the challenge is fundamental to science. Motives, however, matter and not everyone has good intentions. 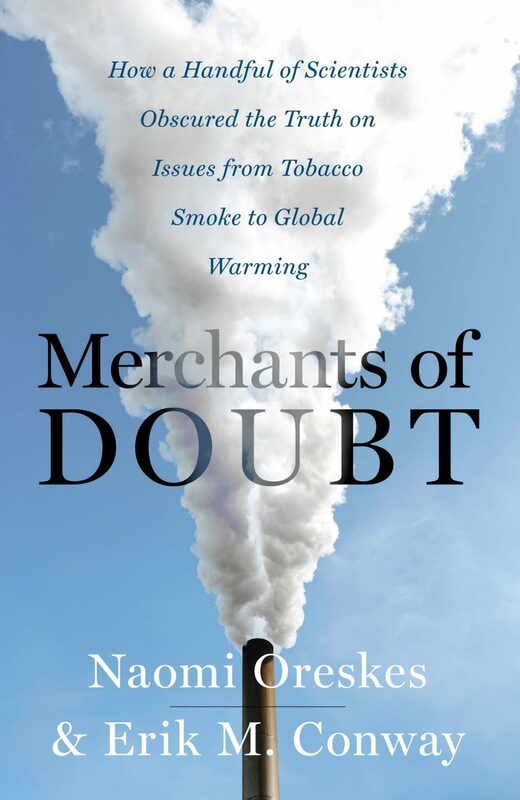 Naomi Oreskes and Erik Conway’s masterful work Merchants of Doubt: How a Handful of Scientists Obscured the Truth on Issues from Tobacco Smoke to Global Warming, was recommended by Elon Musk. The book illuminates how the tobacco industry created doubt and kept the controversy alive well past scientific consensus. They call this the Tobacco Strategy. And the same playbook is happening all over again. This time with Global Warming. The goal of the Tobacco Strategy is to create doubt about the causal link to protect the interests of incumbents. Millions of pages of documents released during tobacco litigation demonstrate these links. They show the crucial role that scientists played in sowing doubt about the links between smoking and health risks. These documents— which have scarcely been studied except by lawyers and a handful of academics— also show that the same strategy was applied not only to global warming, but to a laundry list of environmental and health concerns, including asbestos, secondhand smoke, acid rain, and the ozone hole. Interestingly, not only are the tactics the same when it comes to Global Warming, but so are the people. They used their scientific credentials to present themselves as authorities, and they used their authority to try to discredit any science they didn’t like. Over the course of more than twenty years, these men did almost no original scientific research on any of the issues on which they weighed in. Once they had been prominent researchers, but by the time they turned to the topics of our story, they were mostly attacking the work and the reputations of others. In fact, on every issue, they were on the wrong side of the scientific consensus. Smoking does kill— both directly and indirectly. Pollution does cause acid rain. Volcanoes are not the cause of the ozone hole. Our seas are rising and our glaciers are melting because of the mounting effects of greenhouse gases in the atmosphere, produced by burning fossil fuels. Yet, for years the press quoted these men as experts, and politicians listened to them, using their claims as justification for inaction. These findings, however, shouldn’t have been a surprise. We’re often blinded by a ‘bad people can do no right’ line of thought. German scientists had shown in the 1930s that cigarette smoking caused lung cancer, and the Nazi government had run major antismoking campaigns; Adolf Hitler forbade smoking in his presence. However, the German scientific work was tainted by its Nazi associations, and to some extent ignored, if not actually suppressed, after the war; it had taken some time to be rediscovered and independently confirmed. Now, however, American researchers— not Nazis— were calling the matter “urgent,” and the news media were reporting it. “Cancer by the carton” was not a slogan the tobacco industry would embrace. With the mounting evidence, the tobacco industry was thrown into a panic. So industry executives made a fateful decision, one that would later become the basis on which a federal judge would find the industry guilty of conspiracy to commit fraud— a massive and ongoing fraud to deceive the American public about the health effects of smoking. The decision was to hire a public relations firm to challenge the scientific evidence that smoking could kill you. On that December morning (December 15th), the presidents of four of America’s largest tobacco companies— American Tobacco, Benson and Hedges, Philip Morris, and U.S. Tobacco— met at the venerable Plaza Hotel in New York City. The French Renaissance chateau-style building— in which unaccompanied ladies were not permitted in its famous Oak Room bar— was a fitting place for the task at hand: the protection of one of America’s oldest and most powerful industries. The man they had come to meet was equally powerful: John Hill, founder and CEO of one of America’s largest and most effective public relations firms, Hill and Knowlton. At first, the companies didn’t think they needed to fund new scientific research, thinking it would be sufficient to “disseminate information on hand.” John Hill disagreed, “emphatically warn[ing] … that they should … sponsor additional research,” and that this would be a long-term project. He also suggested including the word “research” in the title of their new committee, because a pro-cigarette message would need science to back it up. At the end of the day, Hill concluded, “scientific doubts must remain.” It would be his job to ensure it. Over the next half century, the industry did what Hill and Knowlton advised. They created the “Tobacco Industry Research Committee” to challenge the mounting scientific evidence of the harms of tobacco. They funded alternative research to cast doubt on the tobacco-cancer link. They conducted polls to gauge public opinion and used the results to guide campaigns to sway it. They distributed pamphlets and booklets to doctors, the media, policy makers, and the general public insisting there was no cause for alarm. The industry’s position was that there was “no proof” that tobacco was bad, and they fostered that position by manufacturing a “debate,” convincing the mass media that responsible journalists had an obligation to present “both sides” of it. Of course there was more to it than that. The industry did not leave it to journalists to seek out “all the facts.” They made sure they got them. The so-called balance campaign involved aggressive dissemination and promotion to editors and publishers of “information” that supported the industry’s position. But if the science was firm, how could they do that? Was the science firm? The answer is yes, but. A scientific discovery is not an event; it’s a process, and often it takes time for the full picture to come into clear focus. By the late 1950s, mounting experimental and epidemiological data linked tobacco with cancer— which is why the industry took action to oppose it. In private, executives acknowledged this evidence. In hindsight it is fair to say— and science historians have said— that the link was already established beyond a reasonable doubt. Certainly no one could honestly say that science showed that smoking was safe. But science involves many details, many of which remained unclear, such as why some smokers get lung cancer and others do not (a question that remains incompletely answered today). So some scientists remained skeptical. The industry made its case in part by cherry-picking data and focusing on unexplained or anomalous details. No one in 1954 would have claimed that everything that needed to be known about smoking and cancer was known, and the industry exploited this normal scientific honesty to spin unreasonable doubt. Merchants of Doubt is a fascinating look at how the process for sowing doubt in the minds of people remains the same today as it was in the 1950s. After all, if it ain’t broke, don’t fix it. It’s not immediately clear, to the layman, what the essential difference is between science and something masquerading as science: pseudoscience. The distinction gets at the core of what comprises human knowledge: How do we actually know something to be true? Is it simply because our powers of observation tell us so? Or is there more to it? Sir Karl Popper (1902-1994), the scientific philosopher, was interested in the same problem. How do we actually define the scientific process? How do we know which theories can be said to be truly explanatory? Popper saw a problem with the number of theories he considered non-scientific that, on their surface, seemed to have a lot in common with good, hard, rigorous science. But the question of how we decide which theories are compatible with the scientific method, and those which are not, was harder than it seemed. The problem, as Popper saw it, is that some bodies of knowledge more properly named pseudosciences would be considered scientific if the “Observe & Deduce” operating definition were left alone. For example, a believing astrologist can ably provide you with “evidence” that their theories are sound. The biographical information of a great many people can be explained this way, they’d say. The astrologist would tell you, for example, about how “Leos” seek to be the centre of attention; ambitious, strong, seeking the limelight. As proof, they might follow up with a host of real-life Leos: World-leaders, celebrities, politicians, and so on. In some sense, the theory would hold up. The observations could be explained by the theory, which is how science works, right? Sir Karl ran into this problem in a concrete way because he lived during a time when psychoanalytic theories were all the rage at just the same time Einstein was laying out a new foundation for the physical sciences with the concept of relativity. What made Popper uncomfortable were comparisons between the two. Why did he feel so uneasy putting Marxist theories and Freudian psychology in the same category of knowledge as Einstein’s Relativity? Did all three not have vast explanatory power in the world? Each theory’s proponents certainly believed so, but Popper was not satisfied. I found that those of my friends who were admirers of Marx, Freud, and Adler, were impressed by a number of points common to these theories, and especially by their apparent explanatory power. These theories appeared to be able to explain practically everything that happened within the fields to which they referred. 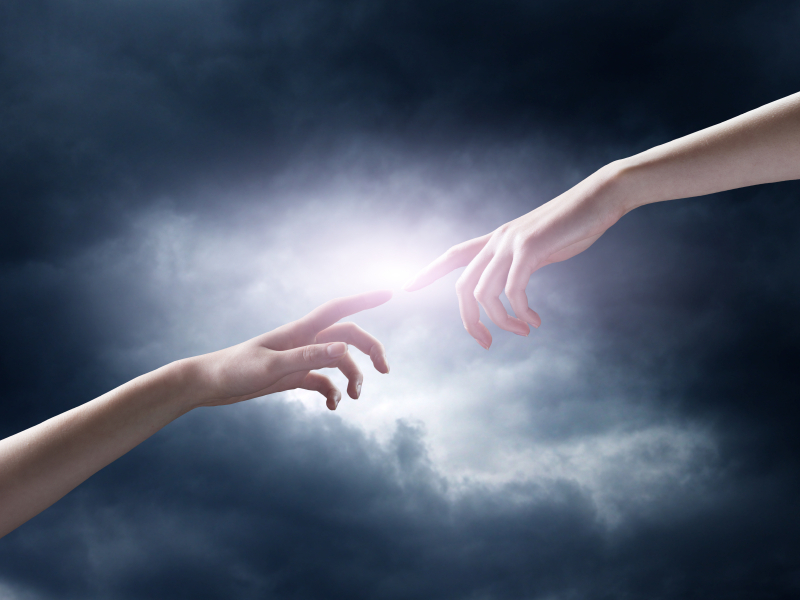 The study of any of them seemed to have the effect of an intellectual conversion or revelation, opening your eyes to a new truth hidden from those not yet initiated. Once your eyes were thus opened you saw confirming instances everywhere: the world was full of verifications of the theory. Whatever happened always confirmed it. Thus its truth appeared manifest; and unbelievers were clearly people who did not want to see the manifest truth; who refused to see it, either because it was against their class interest, or because of their repressions which were still ‘un-analysed’ and crying aloud for treatment. Here was the salient problem: The proponents of these new sciences saw validations and verifications of their theories everywhere. If you were having trouble as an adult, it could always be explained by something your mother or father had done to you when you were young, some repressed something-or-other that hadn’t been analysed and solved. They were confirmation bias machines. What was the missing element? Popper had figured it out before long: The non-scientific theories could not be falsified. They were not testable in a legitimate way. There was no possible objection that could be raised which would show the theory to be wrong. In a true science, the following statement can be easily made: “If x happens, it would show demonstrably that theory y is not true.” We can then design an experiment, a physical one or sometimes a simple thought experiment, to figure out if x actually does happen. It’s the opposite of looking for verification; you must try to show the theory is incorrect, and if you fail to do so, thereby strengthen it. I may illustrate this by two very different examples of human behaviour: that of a man who pushes a child into the water with the intention of drowning it; and that of a man who sacrifices his life in an attempt to save the child. Each of these two cases can be explained with equal ease in Freudian and in Adlerian terms. According to Freud the first man suffered from repression (say, of some component of his Oedipus complex), while the second man had achieved sublimation. According to Adler the first man suffered from feelings of inferiority (producing perhaps the need to prove to himself that he dared to commit some crime), and so did the second man (whose need was to prove to himself that he dared to rescue the child). I could not think of any human behaviour which could not be interpreted in terms of either theory. It was precisely this fact–that they always fitted, that they were always confirmed–which in the eyes of their admirers constituted the strongest argument in favour of these theories. It began to dawn on me that this apparent strength was in fact their weakness. Popper contrasted these theories against Relativity, which made specific, verifiable predictions, giving the conditions under which the predictions could be shown false. It turned out that Einstein’s predictions came to be true when tested, thus verifying the theory through attempts to falsify it. But the essential nature of the theory gave grounds under which it could have been wrong. To this day, physicists seek to figure out where Relativity breaks down in order to come to a more fundamental understanding of physical reality. And while the theory may eventually be proven incomplete or a special case of a more general phenomenon, it has still made accurate, testable predictions that have led to practical breakthroughs. Thus, in Popper’s words, science requires testability: “If observation shows that the predicted effect is definitely absent, then the theory is simply refuted.” This means a good theory must have an element of risk to it. It must be able to be proven wrong under stated conditions. 1. It is easy to obtain confirmations, or verifications, for nearly every theory–if we look for confirmations. 2. Confirmations should count only if they are the result of risky predictions; that is to say, if, unenlightened by the theory in question, we should have expected an event which was incompatible with the theory–an event which would have refuted the theory. 3. Every ‘good’ scientific theory is a prohibition: it forbids certain things to happen. The more a theory forbids, the better it is. 4. A theory which is not refutable by any conceivable event is nonscientific. Irrefutability is not a virtue of a theory (as people often think) but a vice. Finally, Popper was careful to say that it is not possible to prove that Freudianism was not true, at least in part. But we can say that we simply don’t know whether it’s true because it does not make specific testable predictions. It may have many kernels of truth in it, but we can’t tell. The theory would have to be restated.